Next week's world-changing expansion for World of Warcraft may not be the only cataclysm to hit a major massively multiplayer online game soon. 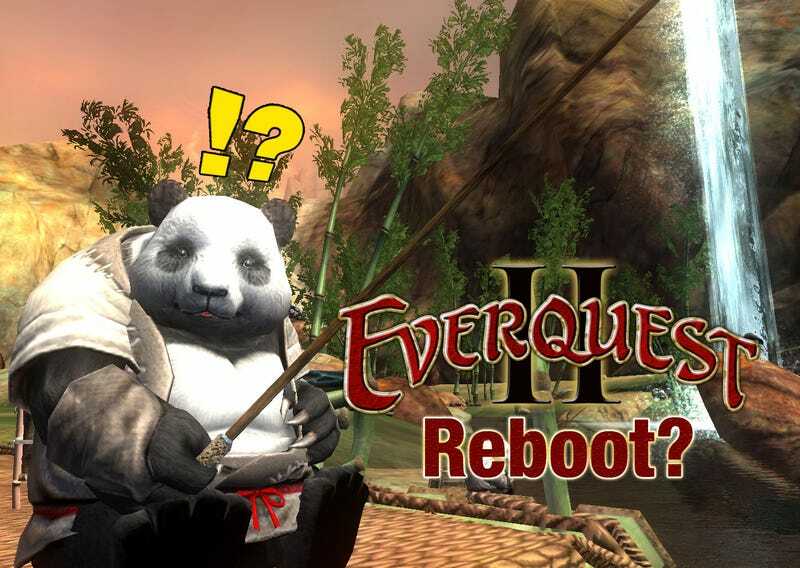 John Smedley, president of Sony Online Entertainment, tells Kotaku that the publisher has been considering a similar game-wide reset for EverQuest II. "We are looking at it closely, we have been for a number of years now," he said during a visit to Sony Online Entertainment Denver. "Is it something we would do within the next expansion cycle? Probably not. But I think it's interesting." Smedley said he's been keeping an eye on what Blizzard is doing with Cataclysm and is impressed with the route they're taking. "I think World of Warcraft is looking great," he said. "I think it's going to bring a lot of people back into the game; they hit the reset button." While Smedley doesn't expect the World of Warcraft expansion to have a deep impact on EverQuest II players, Sony Online Entertainment isn't taking any chances. "We have five years of World of Warcraft experience behind us to know that people that play EverQuest II don't play World of Warcraft," he said. "We don't see big dips in concurrency. We see a tiny drop for awhile." What they do see, though, is Blizzard potentially grabbing up a bunch of gamers new to massively multiplayer gaming, something they plan to fight with an increase in marketing for EverQuest II. "The reason I respect Blizzard so much is that they don't make massive mistakes," he said, talking about the risk of making massive changes to a massive game. "They have the goods and they know it. So why not take a risk like that? "We've been reluctant to do that in the past but the size of their user base means that more risk could make their game potentially larger."